Diane on Whidbey Island: Oh My Heck! I Got a "Grey Lady"
Well, really her name is "Black Lipstick". 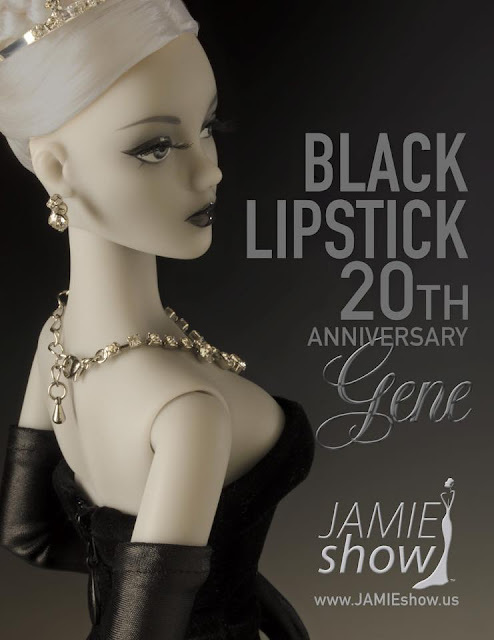 She is the 20th Anniversary Gene doll, and I have one! When JAMIEshow announced the "Le Jazz Hot" convention earlier in the year, I didn't plan on attending. I usually go to Sandra Stillwell's conventions later in the summer. But the more I thought about it, the more I wanted to go, so I decided to live on the wild side and attend two conventions in one year. It was a great convention in Chicago over the Memorial Day weekend. We had a lot of time to sightsee in downtown Chicago. My favorite place was the American Girl Store. Saturday night, at dinner, we were introduced to "Black Lipstick" with this video. Our table didn't have a great view of the screen, so I didn't see all the details. When I first saw that the dolls name was "Black Lipstick", I was a little worried. I'm not into the Goth look. When we finally realized that the pictures were colored pictures the crowd went wild!!!! There is a story behind why almost everyone was excited about getting a grey doll. It happened before my Gene convention going time, way back in 2007. 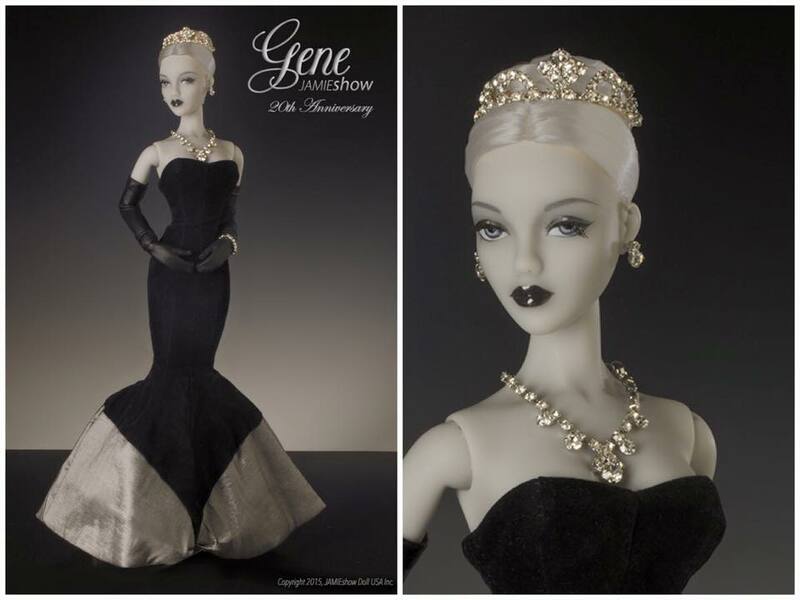 At that time, Gene was being manufactured by Integrity Toys. Before Integrity made Gene, Ashton Drake made her, but that is another story. 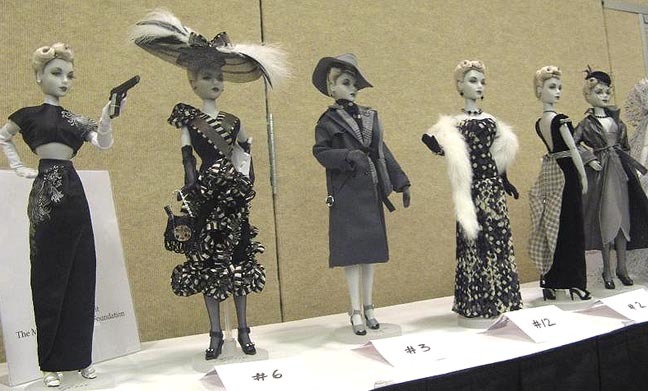 The theme of the 2007 "Rare Deal" convention was Film Noir. 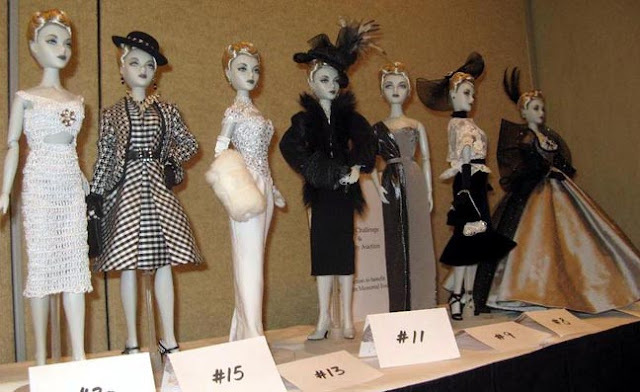 The story that I have heard from several different people was that doll clothes designers were asked to make outfits to donate for a charity auction. 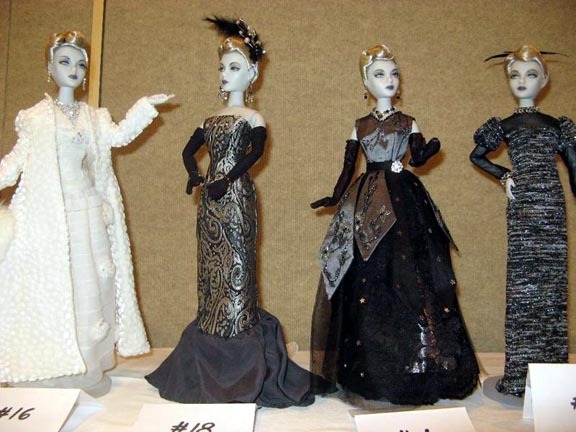 They were asked to make the clothes only in black, white, and greys. 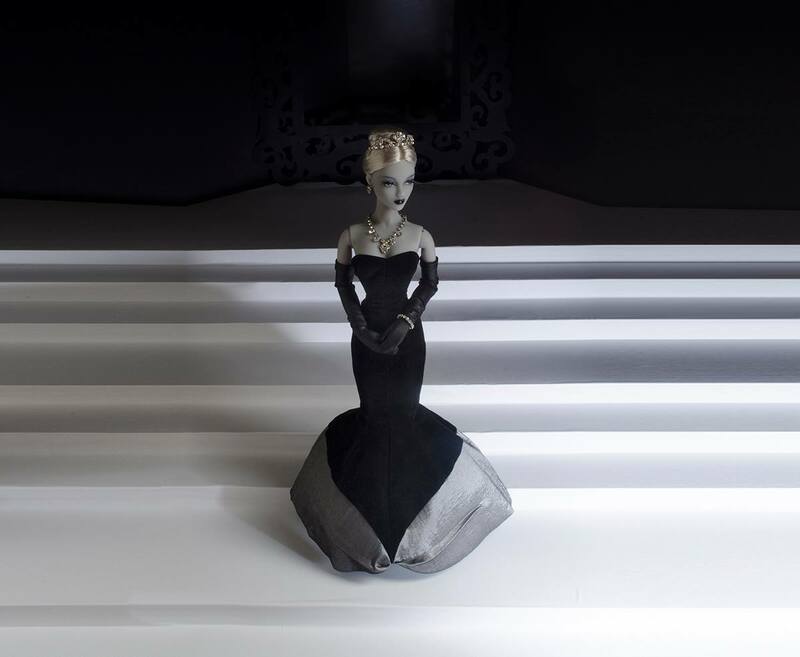 The designers did not know what the doll looked like in advance. Here are some photos of the "Grey Ladies" I found these photos on this website. 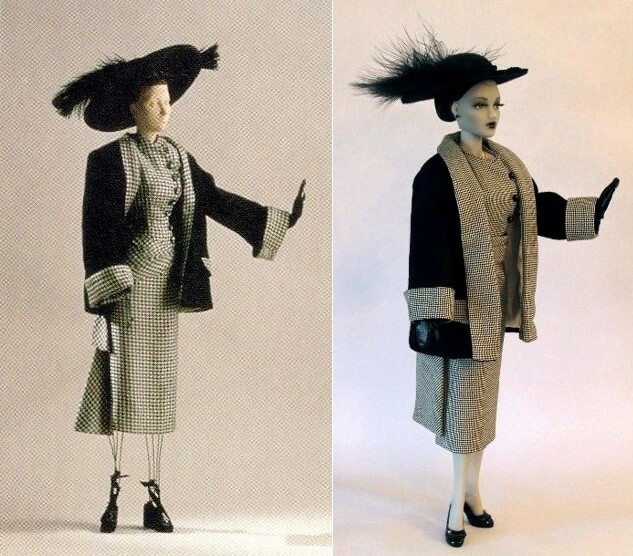 The "Grey Lady" Gene doll was designed to look like she had stepped out of a black and white movie. I heard that the attendees at the convention when crazy for her. This one is my favorite by Wayne Nilson. She sold for the highest price. She is almost impossible to get on the secondary market, and sells for very high prices. She is very special. I wish I could have attended this convention so I could have seen all these lovely ladies. Now back to "Black Lipstick"
Her skin is a light grey and she came with a platinum rooted wigcap. 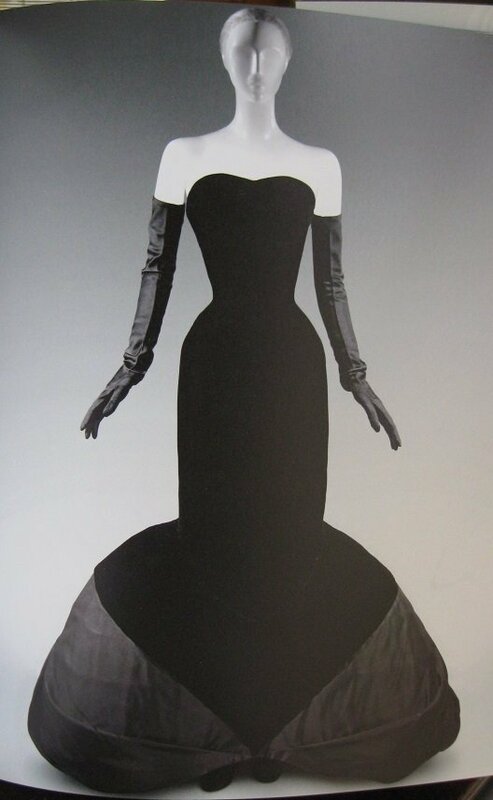 Her gown was inspired by a Charles James creation. I took my first photos of my "Black Lipstick" today. I wish I had had better lighting, but Junuary just started up here on Whidbey Island. This outfit was inspired by a Jean Desses' Theatre de la Mode design. Here is the pile of clothes I want to photograph on "Black Lipstick". We shall see how far I get. I would rather sew than take pictures, but there are some great outfits in this stash. 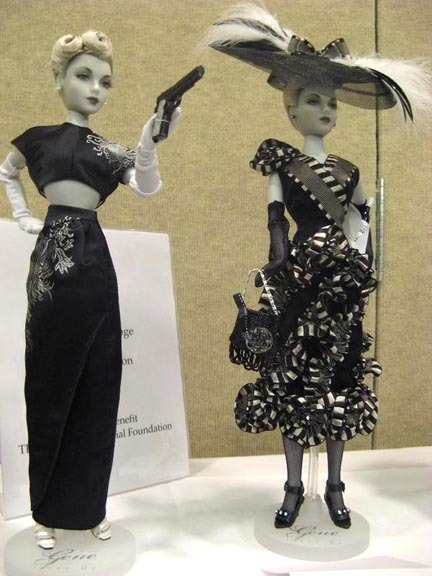 My dolls have better and more expensive clothes than me!